black gold creative - So what does an Interior Designer do? So what does an Interior Designer do? It sounds exciting and glamorous - but what is it really? 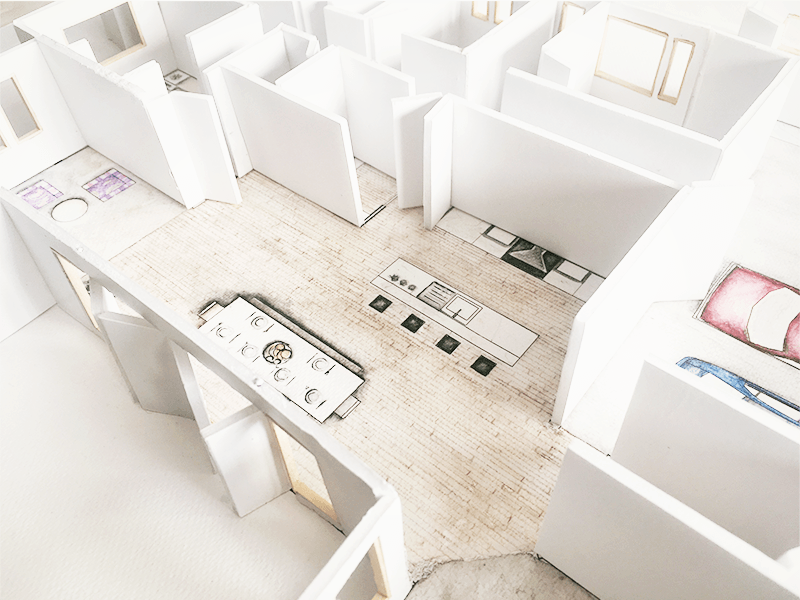 Many people assume interior designers envisage and create beautiful spaces - though correct, this is quite a reductionist view of the profession. A designer takes on several behind-the-scenes roles, often including the role of project manager, in order to deliver the beautiful, finished space. The title 'Interior Designer' has wide scope and is used to describe Interior Stylists & Decorators as well as Interior Architects. An Interior Stylist or Decorator largely focuses on colours, materials, furniture and fixtures, combining them to create a cohesive, aesthetically pleasing space. They have in-depth knowledge of textiles, colour theory and composition and have a wide network of suppliers. They know what works with what, how to place things to get the most function-ability out of your space whilst still making it attractive to the eye. They are the person that makes a space look 'wow'. Interior Architects on the other hand, are exactly that: designers of interior spaces. They often have to draw up plans, elevations, cross sections, construction details - to enable a space to be renovated or built. They have to have in-depth structural knowledge as well as knowledge of building codes and regulations to ensure things are constructed legally and safely. They are also clued up on space planning - ergonomic function-ability is vital in an office space or restaurant. Where things get blurry however, is that many designers do elements of both. I am an example of this. I style, decorate and draw up plans for construction. I can design for most things that aren't restricted building work. So in other words, you don't need to get an architect to redesign your kitchen, you can get the interior specialist - the Interior Designer - to do this. Each designer has their own niche and skill-set and it is worth finding out exactly what your designer can offer, so you know it will match your requirements. Some specialise in kitchens or bathrooms, some only do residential homes, some only do commercial, such as hospitality, offices or retail and some, like me, love variety. Keep an eye out for Part 2: Why hire an Interior Designer?